Invigorated with a new sense of purpose, I took the advice of the therapist and started to research massage therapy. First, I spoke with a family friend who was an amateur Shiatsu practitioner. The conversation was discouraging. He explained the need of having a complete understanding of anatomy and physiology akin to that of a student in medical school, the lack of acceptance of massage as a healing modality, and even worse, that one could not make a proper living. Needlessly to state, I was disenchanted. So I took a step back, refocused and decided to concentrate on a career in the hospitality field. I had taken a job as a hotel manager and although I enjoyed my job, it began to lose its luster. More than a decade can do that to a profession, especially one you don’t love. I missed the world of theater. When I left my career in dance behind, I had shut the door completely and disassociated myself from all but a few dancer friends, unable to watch a performance without being overly critical. Theater wasn’t the only thing I missed – I realized that I truly missed working with the human body. It wasn’t until I turned my eyes southward that I saw something for me on the horizon. One of my fellow co-managers and friends had moved to Miami Beach. That year, Pennsylvania had two massive blizzards—all roadways closed down, hotel guests stranded, employees unable to come in. It was beyond stressful. Knowing I was frustrated and not having a vacation in years, he invited me to visit, teasingly adding, “Oh and there are several massage schools nearby, as well as tons of spas and resorts that hire massage therapists.” I accepted his offer to visit. It was the first vacation I had taken in thirteen years and was excited about four weeks in the sun and sand. After my first week, I received a call from my corporate office indicating that I would have to return immediately. The hotel I managed was being sold and I had to meet with the new owners and prepare the staff for the transition. Despairingly, I returned. The sale went through smoothly and the new owners and employees were happy, but I was not. I wanted more in life than exceeding forecasted revenues, scheduling, updating budgets, meeting guest expectations, and the like. 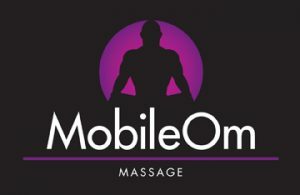 Although my previous management company offered me a position, I opted to stay with the new owners, asking that within the year, I would be permitted to a leave of absence so I could take a massage course in Miami. They agreed. In the blistering heat of a July day, I loaded my Toyota Celica with two suitcases, a travel companion, and a desire for change. The plan was to attend a six-month massage course and return to my position as hotel manager. I enrolled at Florida College of Natural Health, and found an apartment in the heart of South Beach a few blocks from the ocean. It was amazing. One week later, fashion icon Gianni Versace was murdered only a few blocks from my apartment. There was a serial killer on the loose. Police, helicopters, news crews, FBI, fear, panic, and pure bedlam filled South Beach. I sat alone on the floor of my empty apartment questioning everything. What had I gotten myself into? I was scared. The previous week I had made large financial commitments in signing a lease, ordering furniture, and enrolling in school. There weren’t any other options. I had to stay committed. I’m glad I wasn’t deterred because the first day of class was another day that changed my life. I chose Florida College based upon its reputation, curriculum, and requirements for completion. Entering the massage program mid-course, the class was preparing for an exam. Students were engrossed in anatomy books, discussing muscles I have never heard of; terminology such as origins/insertions, adduction/abduction, supination/pronation; tapotement, petrissage, circular friction. How would I ever catch up? Since an exam was being administered (on my first day, no less! ), the instructor offered me a massage. I was nervous as hell. The truth is, I had never had a professional massage and had no idea what to do, what to expect. She explained the procedure, adding I would be covered at all times—a technique referred to as draping. I recall while the instructor was working on my hand, her telling me to relax it. I thought, oh my gosh–I never felt so relaxed, why does she keep telling me this?! Now I grin at the memory: I was holding my arm straight up in what resembled a salute from Nazi Germany. After class, I went to the registrant’s office informing them that I no longer wanted to participate in the six-month program. Instead, I wanted to enroll immediately into the degreed, advanced clinical program. I was hooked.